AMC Theatres has won a large tub of good will with extra butter for its low-priced series of "sensory friendly screenings" for autistic children -- the next is "How to Train Your Dragon" at 10 a.m. on Saturday, April 10, at participating theaters. The program also helped recent AMC missteps fade to black. AMC and other exhibitors invited the wrath of a recession-pounded public when they hiked up ticket prices last month by double-digit percentages. Cineplexes want more of the action from 3-D blockbusters such as "Avatar" and "Alice in Wonderland." But that was AMC's second act. In November it ushered in a new era of Scrooge-like greed by announcing that it would enforce a no-outside-snack rule. That inspired a sneak visit by this WalletPopper, armed with a 7-Eleven full of crunchy contraband. But AMC truly deserves cheers for a reach-out that seems to have run smoothly and successfully for a year before being publicized for this Autism Awareness Month. 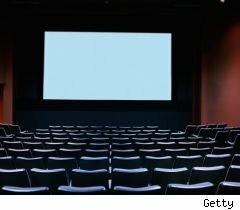 More than 90 AMC theaters nationwide host a once-a-month G or PG matinee for autistic patrons, their families and, well, anyone else. The lights are turned up, the sound is turned down, and everyone can be themselves without being shushed. The response has been so overwhelming that "we are looking at some additions to the program over the next month or so," Cindy Huffstickler, AMC's community relations manager, told WalletPop on Wednesday. The screenings are a deal at between $4 and $6 a pop. Given that 1 in 110 American children has some form of autism, according to the CDC, a lot of families can benefit. Check here to see if a theater near you participates. Note that there are no commercials, and outside snacks to fit dietary needs are allowed. Huffstickler said the industry "at one point" had overlooked film fans with disabilities. "We're addressing it now," she said. "It's the right thing for us to do." The idea to welcome families touched by autism traces back to Marianne Ross, the Maryland mother of a 7-year-old autistic daughter who was thrown out of a local theater in July 2007 for dancing to "Hairspray." Ross then contacted the manager of a nearby AMC, who agreed to host a special screening of "Bee Movie." The house was packed. A star program, in conjunction with the Autism Society, was born. The chain also has been adding theaters with captioning capability for the hearing-impaired. One of the first to offer the service, AMC now has 160 theaters decked out with Rear Window Captioning. Full priced screenings run daily. You might have been to one but didn't notice because the audio transcript runs across a panel mounted on the cupholder, reflected from the back of the theater. Rear Window Captioning costs about $12,000 to install in each theater. Thirty-five million Americans are considered hearing-impaired, so it makes good business sense to offer the captioning. Now if only AMC could do something about that no-snack-smuggling policy.